A time when we let out hair down and go crazy, festival in India is a time with no rules or boundaries. 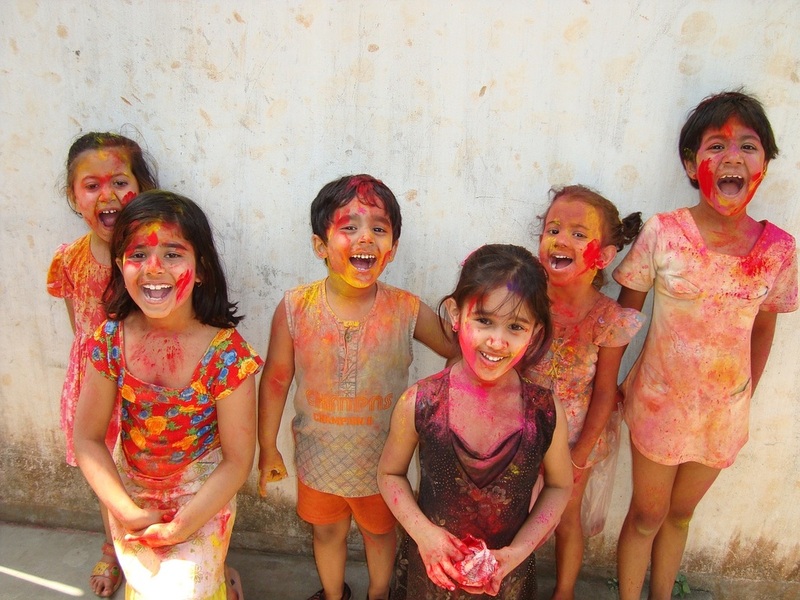 The most ecstatic festival of India, is the welcoming of the season of spring. Bhang (intoxicating drink) is drunk and powered colours (gulaal) and water is flung at anyone in range. Holy eve is celebrated with a sacred bonfire, celebrating the purity of the soul of goddess Holika who passed the fire test, and emerged unburned. PS: I have read some western travel books mention Holika as an evil demon. This is incorrect. Holika is worshipped, the festival of Holi named for her, she was not a demoness. Light up every lamp you’ve got, cos its Diwali time! 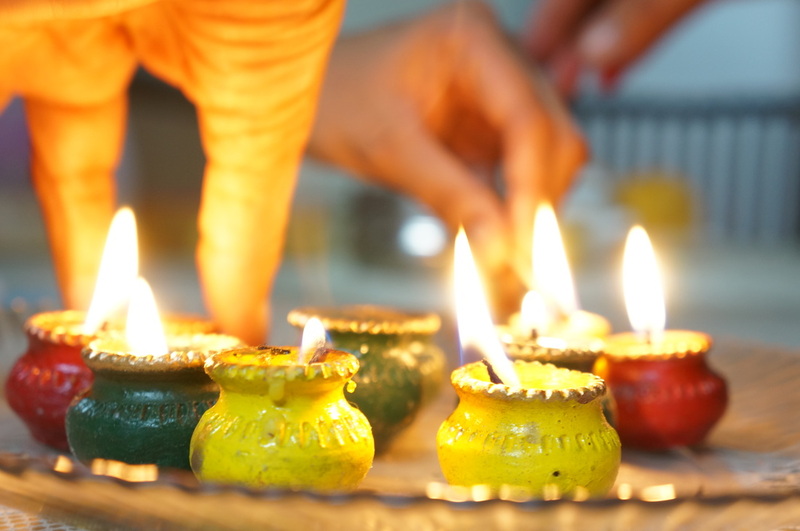 Four days of fireworks, sweet treats and lots of fun, the festival of lights is celebrated in the memory of the day long ago when Lord Ram returned from 14 years in exile. The streets are abuzz with dancing, celebrating, singing ecstatically & eating! Durga Puja is Calcutta’s moment. The puja celebrates the spirit of the fierce and righteous Goddess Durga, who won the battle of good over evil, slaying the buffalo demon Mahishasura. Idols and photographs of the goddess are immersed at the wake of the festival. This is Mumbai’s moment of madness. Literally. If it wasn’t barking mad enough for you already, Ganesh sees Mumbai let its hair down. Floods of people dance to blaring speakers all over the streets of Mumbai. And those who spend their New Year’s Eve at work, take back a step, and relax on Ganpati. Cos, it’s a holiday for EVERYONE in Maharashtra. Chances are that you will be parting your guts out somewhere along the shoreline of Goa at one of the thriving Christmas parties. But, these are for tourists. If you want to get lost in a serene moment, surrounded by a different sort of merrymaking, wine, carols & cake, the ancient church of St. Xaviers in Panjim holds a midnight mass every 24 December eve. To be honest, there is a lot more culture out here than at a bunch of raves with crazy partiers. But, it’s your Christmas, after all.